The single zone connected thermostat is easy to install: it’s battery powered and comes pre-bound to the wireless receiver box, so once the receiver box is wired into the system, the two will communicate straight away. It’s also simple to use, with a simple interface and a control dial for direct adjustment of the temperature set point, with no programming required. 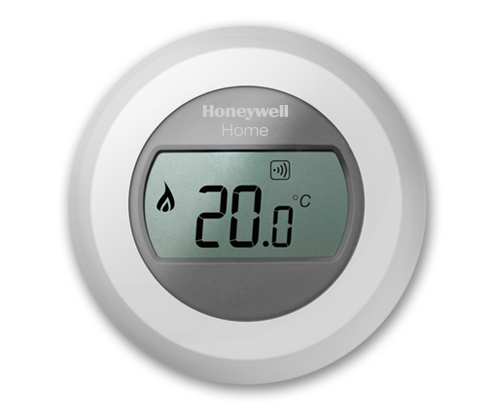 The programmed range stop function ensures the room will not go above or below a set temperature. But it can also be used as a programmable thermostat via the Total Connect Comfort app, and remote control over the internet is easy using the RFG100 Mobile Access Kit. Suitable for any system and any boiler, it’s ideal for system upgrades. It works in many applications as a room thermostat that can be combined with a timer (such as a ST9000) to provide full boiler interlock. Many customers want a simple dial control and the Y87RF provides this but is also full of modern technology – it really is the digital room thermostat of choice.